Note: Students currently enrolled in the district do not need to re-enroll for next year. Note: You must have an email address to create an account and register online. If you have difficulty understanding English, you may request language assistance services. These language assistance services are available free of charge for school related communication. If you need more information about interpretation or translation services, please contact your student’s school, call the ELL Program Office at (907) 452-2000 ext. 11488, or email ELL@k12northstar.org. You may also mail or visit the ELL Program Office, 520 Fifth Ave, Fairbanks, AK 99701. Si tiene dificultad para entender el inglés, puede solicitar los servicios de asistencia de idioma. Estos servicios de asistencia de idioma están disponibles sin costo para la comunicación relacionada con la escuela. Si necesita más información sobre los servicios de interpretación o traducción, comuníquese con la escuela de su alumno. Llame a la Oficina del programa ELL al (907) 452-2000 ext. 11488, o escriba a la dirección de correo electrónico ELL@k12northstar.org. También puede escribir a la dirección postal o visitar la Oficina del programa ELL en 520 Fifth Ave, Fairbanks, AK 99701. 영어를 이해하는 것이 어려우실 경우 언어 지원 서비스를 요청하실 수 있습니다. 해당 언어 지원 서비스는 학교 관련 소통을 위해 무료로 이용 가능합니다. 통번역 관련 서비스에 대한 자세한 정보는 귀 자녀의 학교로 연락하셔서 ELL Program Office에 (907) 452-2000번(내선 번호 11488)으로 전화하시거나 ELL@k12northstar.org로 이메일을 보내주십시오. ELL Program Office, 520 Fifth Ave, Fairbanks, AK 99701로 우편 문의하시거나 직접 방문하실 수 있습니다. Если у Вас имеются трудности с пониманием английского языка, Вы можете обратиться за услугами языковой помощи. Услуги языковой помощи предоставляются бесплатно для целей общения со школой. Если Вам необходима дополнительная информация об услугах устного или письменного перевода, обратитесь в школу Вашего ребенка, позвоните в ELL Program Office по номеру (907) 452-2000, доб. 11488, или отправьте электронное сообщение по адресу ELL@k12northstar.org. Вы также можете отправить письмо по почте или посетить ELL Program Office по адресу 520 Fifth Ave, Fairbanks, AK 99701. Kung nahihirapan kang makaunawa ng English, maaari kang humiling ng mga serbisyo ng tulong sa wika. Ang mga serbisyo ng tulong sa wika na ito ay available nang libre para sa komunikasyong nauugnay sa paaralan. Kung kailangan mo ng higit pang impormasyon tungkol sa mga serbisyo ng interpretation o translation (pagsasaling-wika), mangyaring makipag-ugnayan sa paaralan ng iyong mag-aaral, tumawag sa ELL Program Office sa (907) 452-2000 ext. 11488, o magemail sa ELL@k12northstar.org. Maaari ka ring sumulat o bumisita sa ELL Program Office, 520 Fifth Ave, Fairbanks, AK 99701. Even if your student will apply at an "out-of-area" or "application" school, you must enroll them at their area school first. Take your enrollment form and the required documents listed below in the Enrollment Checklist to your area school. A birth certificate is required for students entering kindergarten or first grade who haven't been enrolled in the district before. How do I know what school to attend? Can my child attend a different school? Will my child ride a bus to school? Can my students participate in sports right away? What services are provided for gifted students? What kind of special education services are available? How can I get involved in schools? State law requires every child between 7 and 16 years of age to attend school. Any child who will be 5 years old on or before September 1 is eligible to attend kindergarten. Children must be 6 years old on or before September 1 to attend first grade. Learn more about kindergarten and first grade eligibility. Students may attend a school outside their transportation zone if space is available, and if they provide their own transportation. For questions on transportation zones, please call the district Transportation Office at 452-2000, x11351. You may request to attend a different school from the one whose boundaries you live in. However, students can attend an out-of-attendance area school only if there is room, and enrollment it is not guaranteed from year to year. Just because your child was granted an exception one year, does not mean he or she will be able to attend the out-of-attendance area school the next year. Learn more about out-of-attendance area enrollment. Bus transportation is provided for students living over 1.5 miles from school. 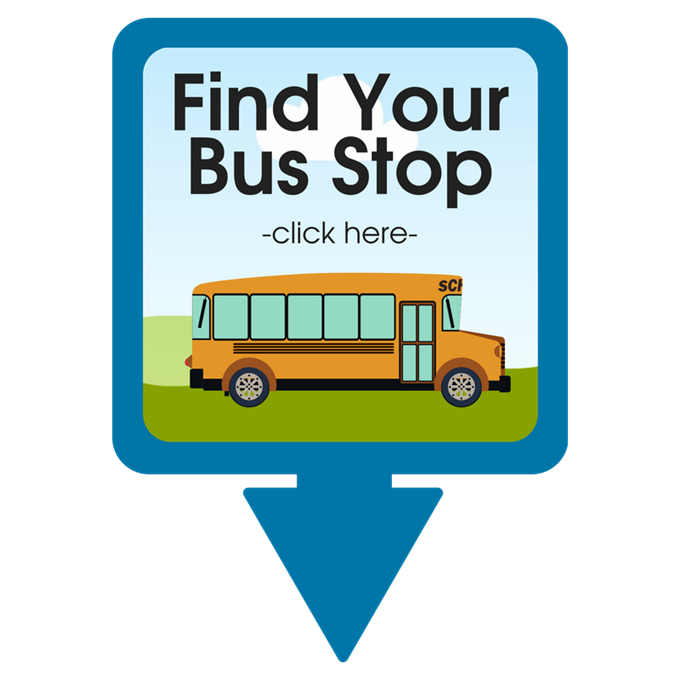 Please call Admin Center Transportation Department at (907) 452-2000 option 4 for the most current bus schedule information or to request new bus stops. We are here all summer! Don't wait to check or add your stop! Routes change! Please call if you have any questions or need to add a bus stop. For more information visit the district Health Services Department. Exemptions may be granted for medical or religious reasons. School generally starts the third week in August and ends the third week in May. The first semester ends before the two-week winter break and there is a one week break in March. Can my student participate in sports right away? Students MUST have a sports physical (available from your health provider) BEFORE participating in a practice and students must participate in ten practices before playing a game. Football and some other sports start before school starts in Fairbanks because of our short outdoor season. It is vital students wanting to participate in these sports have a physical. The district's Extended Learning Program (ELP) provides teachers at the elementary and middle school levels. A wide range of Advanced Placement classes are offered at high schools for all students. Although not every class is offered at every school, approximately 25 Advanced Placement courses are offered throughout the district. Check out the high school course catalog for more information or individual school course catalogs for specific school offerings. The Special Education department provides assessment and direct services to students with fifteen different exceptionalities, and secondary services such as transportation, translators, occupational and physical therapy, counseling, etc. How can I get involved in the schools? You would not believe how welcome family members are in Fairbanks schools. All schools welcome volunteers to help in the classroom, tutor students, share their culture and careers, chaperone trips, and share in various ways in the school life of our students. Did you know service members can earn credit when they volunteer in the school? Contact your local school for more information. Learn more about out-of-attendance area enrollment. Visit k12northstar.org/maps to view school boundaries and enter your home address to find your neighborhood school.